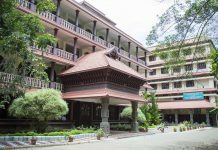 Kozhikode: Indian Institute of Management Kozhikode (IIMK) completes 20 years of academic excellence on August 21, 2016. As part of the 21st anniversary celebrations of IIMK, Prof. Pankaj Chandra, Chairman, Board of Management, Ahmedabad University and Former Director, IIM Bangalore will deliver the 21st Foundation Day Lecture and also inaugurate an exhibition on the twenty year journey of IIM Kozhikode towards academic excellence. Founded in 1996, IIMK was the 5th IIM set up by the Government of India. The Institute has grown significantly in its activities, programs, intellectual output, students, resources and infrastructure in these years. 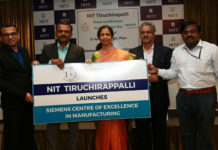 It has made rapid strides to become one of the premier management schools in India. The Institute moving from its ‘teen years’, nineteen to twenty, was ranked #6 among all management schools, in the first NIRF rankings for higher education launched by the Ministry of Human Resources Development in 2016. Starting in 1997 with a batch of 42 students in its Post Graduate Programme (PGP), IIMK is on a high growth trajectory today. PGP student’s intake for 2016 was 384 students i.e., 9 times increase in 20 years thus making it the fastest growing management school in the country. Some of the notable highlights in the last two decades are: incubation of a Centre of Excellence jointly with Government of Kerala, one of its kinds in India, to help the Scheduled Castes/Tribes students overcome their deficiencies in communication and personality; pioneered Interactive Distance Learning for working executives in India; accreditation from London-based AMBA for its PGP and Executive PGP; raising women enrolment to over 30%, thereby setting trend for other management schools; opened the first Indian Business Museum in 2013, acknowledging the contribution of India’s business leaders in the making of Corporate India. With 20 years of experience, IIMK is successfully mentoring IIM Amritsar, the 15th IIM in the country, since October 2014. IIMK has achieved added heights of academic rigour, research focus and education excellence making brand IIM Kozhikode a household name in India.